If you’re searching for “vehicle wraps“, “vehicle wraps near me“, “car wrapping near me“, “vinyl car wrap near me” or “commercial vehicle wraps“, Western Signs & Lighting can help! 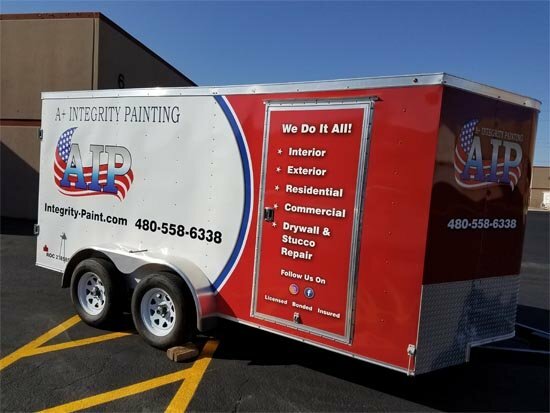 Western Signs & Lighting offers car wraps, truck wraps, cargo van wraps or commercial vehicle wrap installation services in Phoenix, Mesa or anywhere else in the Valley. 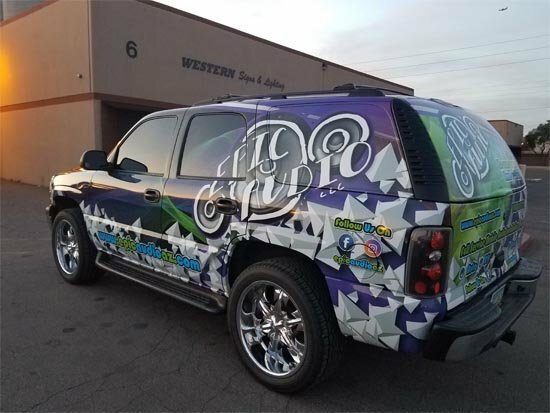 Receive a free vehicle wrap estimate anywhere in the Phoenix Metropolitan area by give Western Signs & Lighting a call today at 480-831-8600. Commercial vehicle wrap helps you get seen by thousands of other drivers in your local area. Vehicle wraps are actually one of the most cost effective and inexpensive forms of marketing when it comes down to a return on your investment. You can reach a ton of potential customers with your advertising even if you only wrap one vehicle! Furthermore, if you wrap more than 1 vehicle, your advertising could reach up to 100k viewers per month. Studies have shown that most businesses get more sales from their commercial vehicle wraps than they do their company website’s. Vehicle wraps are perfect for advertising your local business because you are literally advertising to your own local market. The potential customers who live and do business in your local area are the people who will likely see your advertising the most. 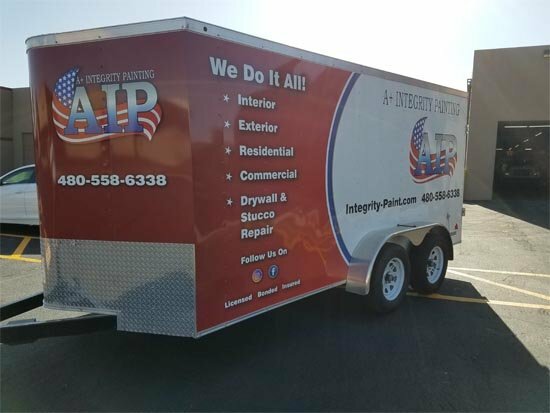 Western Signs & Lighting offers the following commercial vehicle wrap installations in Phoenix including; Car Vehicle Wraps, Truck Vehicle Wraps, Van Vehicle Wraps and Trailer Vehicle Wraps. Stop by our installation shop at 2452 W Birchwood Ave, Mesa, AZ 85202 to get your free estimate. Commercial vehicle wraps market your business all day, every day. Your vehicle can be seen by thousands of people all over the Valley. 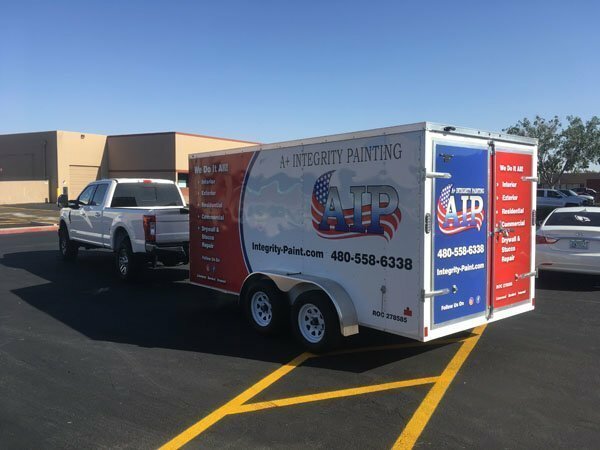 Basically your car, truck, or trailer is an open canvas for full color graphics to showcase your brand or cause, grabbing your customers’ attention like never before. Television, radio and even print ads can end up running into hundreds of thousands of dollars. Getting your company vehicles wrapped will generate the most impressions at a fraction of the price, saving you money in the long run. Vehicle wraps can be made brightly colored to ensure your commercial vehicle stands out while on the road. Drivers do not pay a lot of attention to plain white commercial vehicles but they will notice a professionally designed vehicle wrap. Your potential customer’s eyes won’t be able to look away! You can reach a ton of people with your advertising even if you only have 1 vehicle. If you have more than one vehicle, you could potentially reach up to 100,000 viewers per month. This inexpensively increases the reach of your advertising. Studies have shown that business get more sales from their vehicle wraps than they do their company website’s. Unlike print ads or radio ads that can interrupt your reading, vehicle wraps don’t disturb anything and grab attention. Your Potential customs will be able to easily spot your advertising without being distracted. People respond better to non-aggressive adverting and love seeing vehicle wraps out on the road. Vehicle wraps help you get your business out in front of potential customers versus you waiting on them to see your newspaper or television advertisement. Advertise to your potential customers while you are already out on the road anyway. 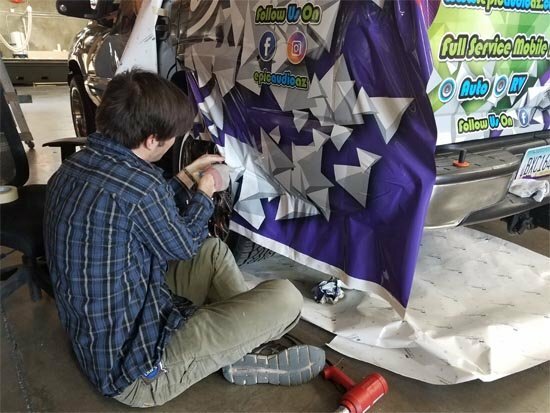 Compared to other advertising methods like billboards and TV ads that have reoccurring costs, vehicle wraps are a 1 time cost that easily pays for itself in ROI. With all of those savings you could afford to re-wrap your vehicle as often as you like. Vehicle wrap advertising is perfect for local business because you are literally advertising to your local market. The potential customers in your local area are the people who will see your advertising the most. Vehicle wraps can also help protect your automobile from scratches, dings and other damage. Also, vehicle wraps can easily be removed without damaging your automobile’s paint, keeping your vehicle in excellent condition and read for resale. The only disadvantage of vehicle wraps is that you have to pay for them. Other than that, there aren’t really too many bad things you can say about vehicle wraps. They help grab attention, increase your audience and goes where you go for a low cost! How Much Does Commercial Vehicle Wrap Cost? Cost factors of vehicle wrap are determined by the size of your vehicle, how detailed the wrap is and what type of wrap you choose. See below for a list of the average cost of vehicle wraps. *These are not our actual costs. 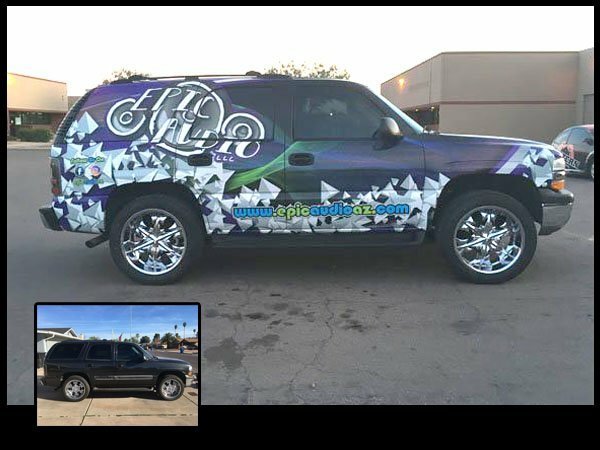 If you would like to inquire about the cost of vehicle wrap or would like to receive a free commercial vehicle wrap estimate in Phoenix, Mesa or anywhere else in the Valley, give Western Signs & Lighting a call today at 480-831-8600. 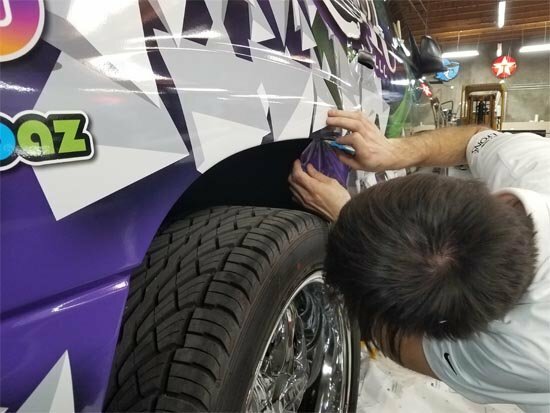 If you’re searching for “vehicle wraps“, “vehicle wraps near me“, “car wrapping near me“, “vinyl car wrap near me” or “commercial vehicle wraps“, Western Signs & Lighting can help! 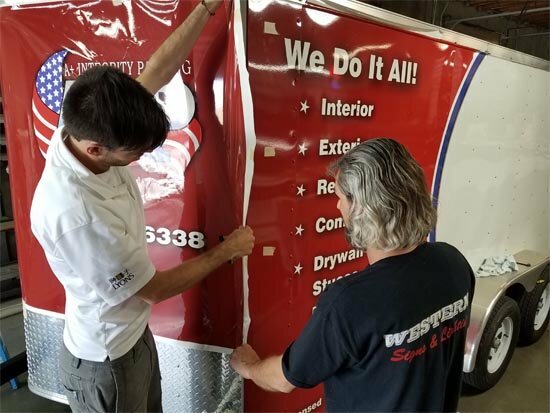 Western Signs & Lighting offers car wraps, truck wraps, cargo van wraps or commercial vehicle wrap installation services in Phoenix, Mesa or anywhere else in the Valley.